Pitch in for Coastal Cleanup Day this Saturday! Join Baykeeper this Saturday, September 17, for Coastal Cleanup Day! Help us clean up trash that is contaminating local shorelines and polluting San Francisco Bay. 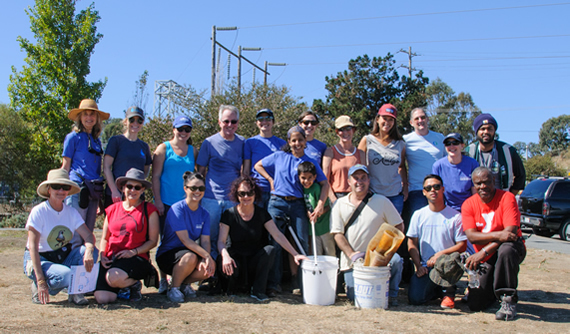 Volunteer with Baykeeper this Saturday, 9AM-Noon, at San Francisco's India Basin Shoreline Park. All ages are welcome. Advanced registration is appreciated. India Basin is located at Hawes St. and Hunters Point Blvd., along San Francisco Bay's eastern shore, which suffers from more polluting trash and debris than other shoreline areas. Learn more about the cleanup and register to volunteer. Baykeeper's advocacy helped pass a new law that bars state funding for future coal export projects. This is a big victory for protecting San Francisco Bay and local communities from coal pollution! Baykeeper testified at state legislative hearings earlier this year in favor of the new law. 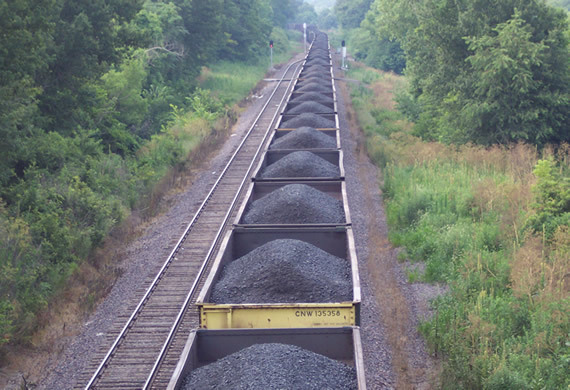 The law prohibits state funds from being used to build new coal terminals and sends a signal that state government won't support the expansion of coal shipping in California. We're opposing all efforts by the coal industry to increase coal export from the West Coast, including from two possible terminals proposed in the Bay Area. If a coal export project proposed for Oakland is allowed to go forward, coal would arrive in Oakland via long trains of open cars, on tracks close to the Bay's shore. In June, Oakland's city council banned the handling and storing of coal within Oakland, but the developers have indicated they may challenge the city's ban. A different developer is trying to get approval for a possible export terminal that may include coal exports on the Vallejo shoreline. In partnership with a coalition of environmental groups and concerned residents, Baykeeper will continue working to prevent an increase in toxic coal shipments through the Bay Area. In the upcoming November election, Baykeeper recommends a 'yes' vote on California Proposition 67, the statewide plastic bag ban. If Prop 67 passes, groceries, pharmacies, and other retail stores in California will be required to stop providing single-use plastic bags. When plastic bags wash into San Francisco Bay and the oceans, they harm wildlife. Animals get entangled in the bags and drown, or they eat them and starve. California passed a statewide law in 2014 to phase out single-use grocery bags, with broad public support. Now the plastics industry is trying to prevent the law from being put into action. A 'yes' vote on Proposition 67 will keep the 2014 law in place and ensure that it is implemented throughout the state. Take your own reusable bags to stores and vote to keep plastic pollution out of San Francisco Bay and the Pacific Ocean. For a healthier Bay and Ocean, vote 'yes' on Prop 67! Learn more about why Baykeeper recommends a 'yes' vote on Proposition 67. 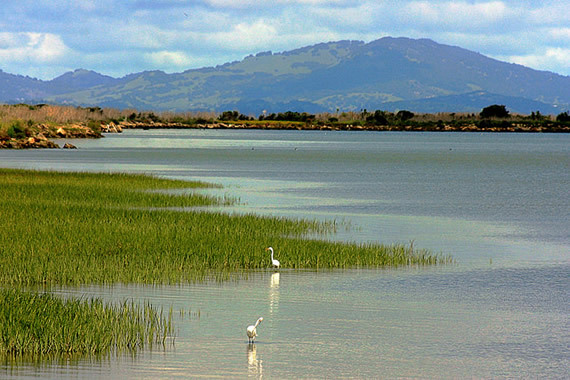 Baykeeper recently took action in a long-running fight to prevent irresponsible development on 1,365 acres of former south San Francisco Bay wetlands. The area, used for decades to manufacture salt, is known as the Cargill salt ponds. Cargill, Inc. and a developer, DMB Redwood City Saltworks, are trying to get the federal government to declare that the salt ponds are not protected by the Clean Water Act. If the two companies succeed, they could more easily move forward with their plans to fill in the salt ponds and construct retail space, offices, and condominiums. Baykeeper, Citizens Committee to Complete the Refuge, and others are urging the Environmental Protection Agency to declare that the Cargill salt ponds are protected by the Clean Water Act. Our recent investigation unearthed dozens of historical documents that support our advocacy position before EPA that the ponds do fall under legal protection and that abundant shorebirds currently live and forage in the ponds. Instead of building on the salt ponds, Baykeeper and the Citizens Committee are advocating to restore them as wetlands and to add the wetlands to the Don Edwards wildlife refuge. This would preserve wildlife habitat and buffer the effects of sea level rise on a vulnerable area of the South Bay. Learn more about Baykeeper's advocacy to protect South Bay wetlands from development. Enjoy two days of stand up paddleboarding, kiteboarding, and windsurfing excitement at the Battle of the Bay Watersport Festival this weekend. Join the festival at East Beach on Crissy Field, San Francisco. Races include open and pro stand up paddleboard, the national Kite Foil Championship, and Northern California Windsurfing Championship. Look for the Baykeeper boat keeping participants safe on the water, and stop by the Baykeeper table while you're there! Find out more and register at battleofthebay.com. Baykeeper is looking for an enthusiastic volunteer intern to support our fundraising efforts for fall 2016. The ideal candidate is passionate about environmental protection and wants to develop skills in fundraising and nonprofit operations. Our Development Intern will gain experience in online research, outreach, member database management, and event coordination. Arrangements can be made to meet requirements for class credit. Time Commitment: 5-10 hours a week, approximately September to December 2016, with start and end dates flexible. Location: Baykeeper's Oakland office. Read the Development Intern job description and learn how to apply for this position. Taste highly acclaimed wines from 2016's top 100 wineries, sample delectable dishes from the year's new and notable restaurants, enjoy fresh oysters and artisan cheeses, and meet outstanding winemakers. It's all coming up at Wine & Spirits Top 100 Tasting. A big thank you to Wine & Spirits magazine for making this event a benefit for Baykeeper's work to stop pollution in San Francisco Bay. The Top 100 Tasting will be held on Monday, October 10 in City View at the Metreon in San Francisco. Look for the Baykeeper table at the festivities! Tickets are still available. Top 100 Tastings of years past have sold out, and advance purchase is advised. Learn more and purchase tickets to Wine & Spirits Top 100 Tasting. A big thank you to 10Fold Communications for supporting Baykeeper's work for a healthy San Francisco Bay with their annual Media SharkTank benefit. On October 13, 10Fold brings CEOs and executive spokespersons together to pitch their companies' stories to a panel of top business and broadcast journalists. The media "sharks" give the CEOs and executives feedback to improve their communications. 10Fold, a full service business-to-business technology public relations agency, donates the proceeds from this annual event to support Baykeeper's work to protect San Francisco Bay. This helps keep the Bay healthy for fish, birds, seals, and real live sharks. Learn more about 10Fold Communications' SharkTank benefit for Baykeeper on October 13. October 1 is Bay Day—like Earth Day for San Francisco Bay! Baykeeper is coming together with Save the Bay, bike and paddle organizations, local parks, and many other groups to celebrate our beloved Bay. We encourage you to celebrate the Bay on October 1 in the way you love best. Swim, paddle, or sail the Bay's water. Cycle, hike, or picnic along the shore. 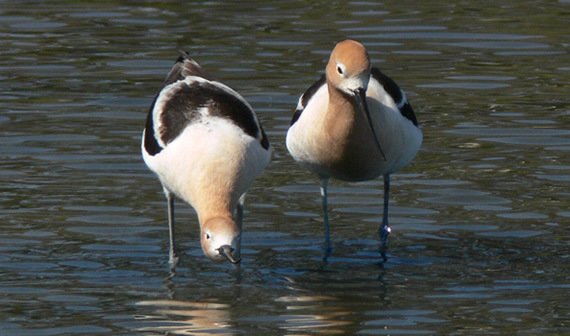 Visit Crissy Field, China Camp, Don Edwards Wildlife Refuge, or Berkeley Marina, and watch for birds and seals. Or just enjoy views of the Bay from afar. However you choose to celebrate, take a moment to savor this wonderful natural treasure that is the heart of the Bay Area. Happy Bay Day! Learn more about Bay Day and see a list of Bay Day events.